Though nearly anything could be an amulet, some pieces have more inherent symbolism. The meaning may be known only to you, or a recognized glyph. Amulets are rarely mass-produced big-brand items. The singularity of pendants makes them perfect for the purpose. They are usually of noble metals, meant to withstand constant wear. The symbol may be known only to you, or read easily by others. Here are a selection of amulets whose meanings are evident. One type of talisman is called apotropaic, having or bringing good fortune, protection or luck. The eye is a symbol of protection, given to ward off any malevolent gaze. This Catherine Michaels pendant combines black and yellow 14k gold, with a diamond and sapphire-accented eye, strung on a 32-inch braided linen cord strung with gold beads. Price, $750 from Ylang23. The Compass Rose symbolizes finding and keeping one's bearings. The Compass Company's 14K gold pendant with sapphire and working 14mm compass has presence on its own or layers prettily with other necklaces. Price, $374. The notion of infinity is found across times and cultures, often represented by the knot motif, which carries both spiritual and emotional meaning. 18k Love Knot, a Buddhist symbol of eternal love. Price, $1,500 for pendant only. Here's a Celtic version, the Trinity Knot, also referred to as the Mystic Knot. This symbol, traced to 450 A.D., symbolizes the timeless nature of spirit, the infinite cycles of life and rebirth. 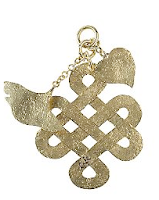 18k quadruple Trinity Knot pendant, price, $450 from Liffey Gold. 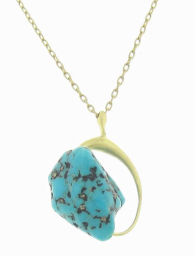 Pyrrha are Vancouver-based jewelers known for refined amulets in silver, bronze and 18k. For a woman celebrating a special birthday or life passage, I would choose this intaglio Athena, Goddess of Wisdom, in 18k gold-plated silver; price, $334, which includes an 18-inch chain. Do you have a friend who has weathered a difficult year? 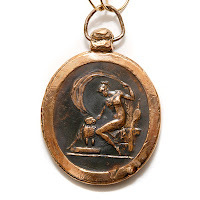 From Pyrrha's Talisman collection, a seal of an angel sitting beneath an anchor with the French inscription, Hope Remains, Even in the Storm. Available in chain lengths from 16 to 22 inches, and in silver or bronze; price, $136. The Tsuba is a Japanese symbol of courage, fidelity and diligence, represented in this graceful adaptation of a Samurai shield. Price (for pendant only), $935 from KA Gold Jewelry. Glamourous amulet, say that fast five times. Chinese love symbol necklace in diamond (.25ct tw), silver and gold vermeil, on sale from Ross Simons' price, $162. At this price, you could give an unexpectedly glittering gift. 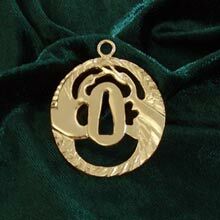 Amulets may also signify your heritage. 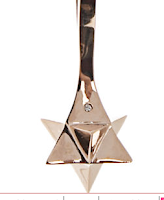 Abraxas Rex 18k rose gold six-pointed star with diamond, price, $1,875 from Barney's. St. Brigid was born in fifth-century Ireland, a saint who was at least as interested in farming and domestic matters as she was in prayer. This gold cross in the form of rushes is traditionally hung in Irish homes on her day, February 1. Price, $499 in 18k gold, from Allcladdagh Irish Jewelers. 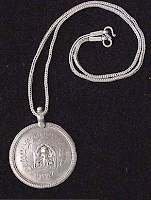 Antique Hindu goddess amulet on 20-inch silver chain; price, $185 from Nomad's Journey. The pieces I've shown today have explicit symbolism, but many of you have private amulets, such as a silver bracelet or special necklace. Whether the meaning is available to all or only to you, amulets are good for body and soul. Life, luck, faith, roots. They need not be precious, only durable, so that their fond and hopeful sentiment prevails. Scary post -- because I want them *all*. All of them, and I haven't felt this much shopping lust in a long long time. Thought I should mention that your Pyrra link is bad. I know it's Pyrrha (as in pyrrhic victory)& I think the site is pyrrha dot com, although there may be somewhere else you meant to point us to? I have really liked your jewelry/gifts posts lately! A tsuba is the guard on a sword, hence the center piercing in them showing where the blade fits in. (Real ones are about 3-4" across.) That's what you mean by "shield" right..? Lovely, evocative post. I do have several amulets among my jewels. The word amulet, in itself, sounds mysterious, maybe a bit frightening too ( is translated to Finnish nearly as such ). What about the cross? The cross is a typical confirmation gift over here, so many do get one. 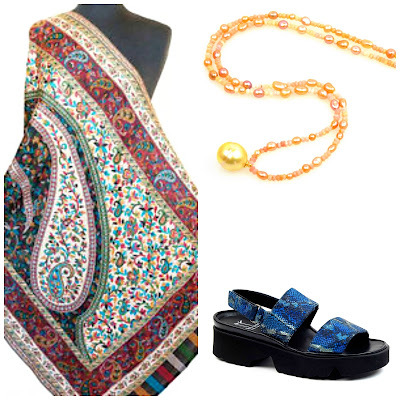 Worn on an adult, we ( I ) interpret it as a sign of deep religiousness. My younger daughter received three small golden charms ( amulets ) on a golden chain from her godparents on the christening ceremony, which resemble faith ( cross), hope ( anchor ) and love ( heart ). When we moved from the north, 15 years ago, to near Helsinki ( back to my roots ), the chain got lost somewhere along the way. As I write, I got this nasty feeling, as if loosing it was some sort of an bad omen ( I am not a superstitious person in any ways ), but this got me thinking.. I don´t remember ever having had a cross of my own. Whoa! 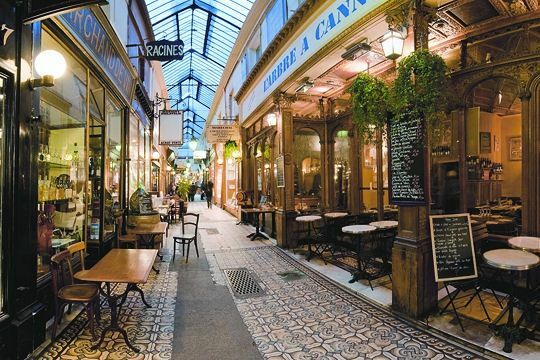 I just purchased a gold talisman from the Pyrrha website: the dagger that says "courage without fear" in French. I'll be climbing mountains this summer, and this is an early bit of birthday encouragement to me. I wear two pieces of jewelry constantly - my wedding ring and my gold link bracelet that I bought with royalties from my book. I knew I wasn't going to get rich from reference book royalties, so I determined at the outset to save the money and buy something I could wear all the time. My bracelet reminds me of the time and effort that went into that book. Metscan, we use the cross, anchor, and heart symbols here in the U.S., also. I have a set on my charm bracelet from my youth. Duchesse, thank you for two very thoughtful posts. Anon: Thanks for the correction, yes, it is Pyrrha and I've fixed the link. Someone: Yes, that is what I meant. The crane tsuba is especially graceful to me. LPC: Much as I love stones, never got into the 'energy' business with them. I'm the kind of person who only refers to energy in the caloric sense. metscan: The wearing of crosses here no longer denotes sincere faith or a particular religion, and perhaps we have Madonna to thank for that? 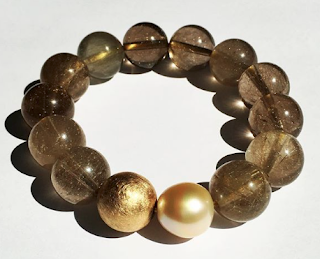 Fra Ambrosius: I encourage all women to mark occasions with a special piece and am so glad you did. Sewing Librarian: Congratulations, andw ell-chosen symbol of your perseverance and talent. I loved this post and--even more--the last one. I have been wearing my grandmother's and great-aunt's rings since I was a teenager. Now I wear their wedding bands as well. I don't care about jewelry that much any more and give my daughter pretty much anything she asks for--much to her surprise (and my own, a little), I said "no" when she asked if she could have one of the four rings with stones. Frugal Scholar: One day, but not yet! These have been an interesting two posts, but I'd also love to know what you think about the difference between buying something hoping it will act as a talisman and the process of realizing, after months or years, or even decades, that a piece has become talismanic without the wearer even realizing it. This is my experience with my silver First Nations-carved cuff -- although the carving itself is designed to commemorate/celebrate one of my degrees, it could have languished in a drawer except that it is also somehow very easily wearable with almost anything so that I became accustomed to it and feel comfortable with and comforted by it. How would you compare the deliberate and the accidental in regards to talismans/amulets. . .
materfamilias: You have pretty much answered your own question. If you buy your own amulet, you will also be choosing for your taste and wearability. If a gift, it has to be right for you, or its intended symbolism will live, but only in a drawer. There are times when I've set out to buy something commemorative for myself but nothing has spoken. It is almost as if the object chooses you. When I met you, you were wearing that bracelet. Hope we will meet again.